This post is about straw bale gardening mushrooms showing up in your bale. Straw Bale Gardening is becoming more and more popular. A new type of gardening often leads to a whole new set of questions and concerns for the gardener. One we hear quite often is concerning mushrooms in your bale after the weather warms up and the bale has been conditioned. Good news. We happen to live a couple of miles from an expert on straw bale gardening. Let’s make that THE expert on Straw Bale Gardening, Joel Karsten of Strawbalegardens.com. Joel is the author of Straw Bale Gardens, a New York Times bestseller. 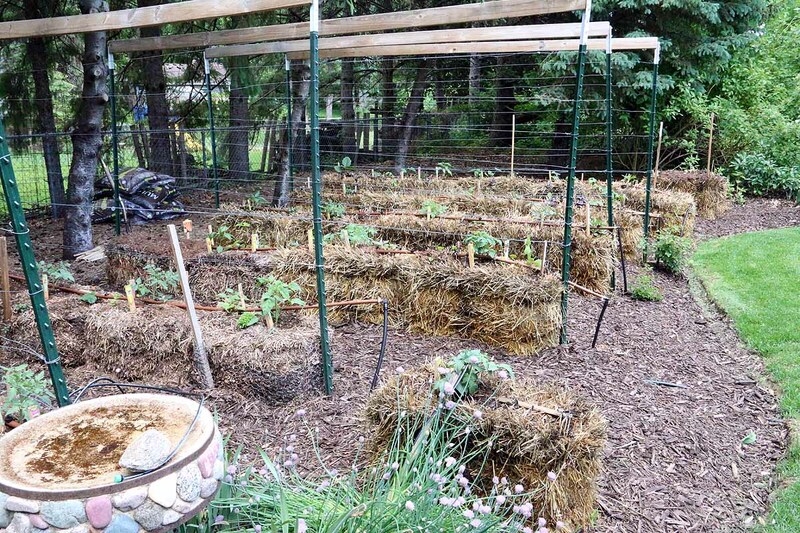 We are collaborating with Joel to do a whole series on straw bale gardening this summer and fall. Everything that has ever been alive eventually decomposes and becomes soil. Mother nature’s tool box of “decomposers” includes: Insects, worms, bacteria, mold and FUNGI (mushrooms). As a bale of straw, which is essentially a solid mass of tightly squeezed stalks, is watered, fertilized and begins to decompose, any spores of fungi that happen to be present or introduced by the wind, tend to sprout. Fed by the newly released carbon contained in the cells of the plants which are breaking down, the mushrooms often thrive. Most varieties of fungi that bloom and grow on straw bales are not long lived, dying off within 24 hours. The mushrooms you get tomorrow, are probably brand new from spores which sprouted the night before. The vast majority are harmless, however I never recommend eating any of the mushrooms that grow naturally, unless you first test them on someone you don’t like. Your plants will be unaffected by these mushrooms, so think of the mushrooms in your Straw Bale Garden as a compliment from mother nature. She is telling you that you have done a good job of preparing that bale for the newly planted transplants or seedlings that you will be growing. If a big mushroom is pushing your tiny seedlings out of the bale, then you may need to squish down that mushroom a bit, but otherwise just try to ignore them. If you try to brush them off or squirt them off with your hose, they will grow right back, sometimes in just hours. 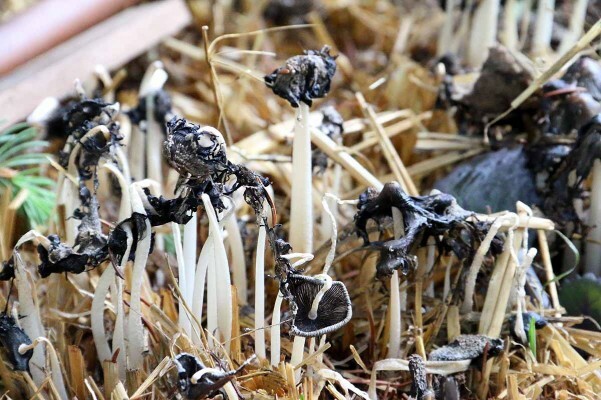 All in all, mushrooms are a great sign that you have prepared the bales correctly, so do your best to simply ignore them in your Straw Bale Garden. Of course Joel’s book has lot’s more helpful information. 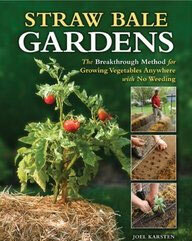 If you are serious about straw bale gardening, you need to get his book. There’s a reason it made the New York Times bestseller list. Buy Straw Bale Gardening now.